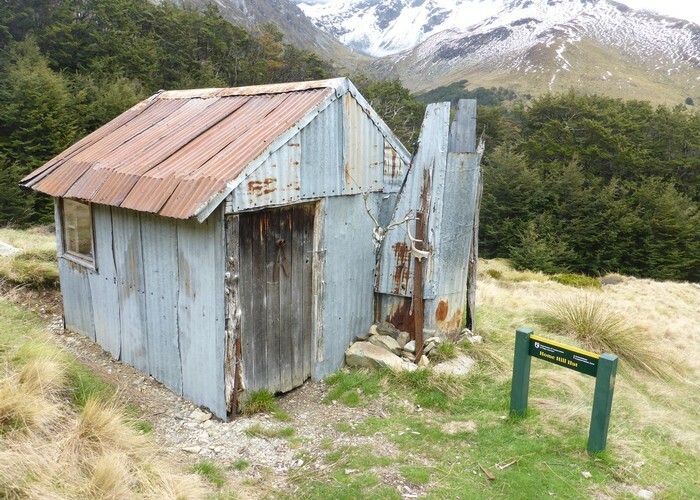 Historic hut on the bushline above the Caples Valley. Thought to have been built as a musterer's hut on the original Birchdale Station. Dirt floor and open fireplace, but roof and bunks have been replaced recently. Added 17 November 2017 by BriarBriar. No revisions. 55 views in the past year (5 per month).